There has been no “trickle down” from the Reagan era income tax cuts. None. Indeed, what has transpired since the 1980s in this country is riches have been “gushing up” to the richest people. 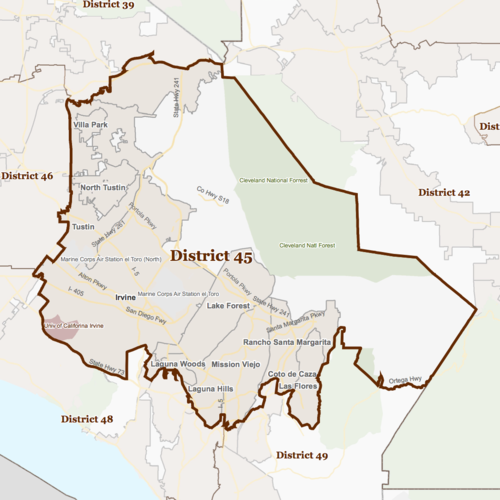 Now the Republicans are trying to make them “gush up” even more powerfully. This has to stop. 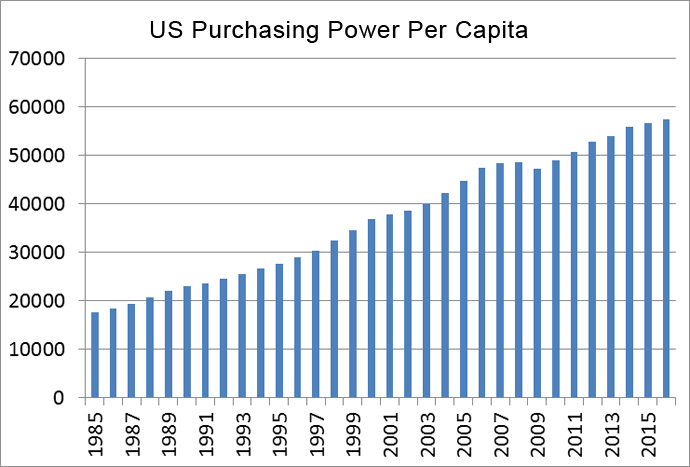 The average American’s purchasing power is at historic highs. The only hiccup in the steady growth of this bellwether of our economy was in 2009 during the Great Recession. Even so, in 2016 our average purchasing reached a record $57,467 according to the World Bank. That’s good. The one-percenters really haven’t noticed the difference, but the rest of us have. Even Warren Buffett argues for higher taxes on the rich. In order to close this dangerous gap in how income is distributed in our country first, we need to raise taxes on the super rich. Second we need to have a national minimum wage of $15. Third, we need to repeal past legislation that has weakened the collective bargaining power of union members. Evidence: Below is a representation of how tax rates have changed over the years. 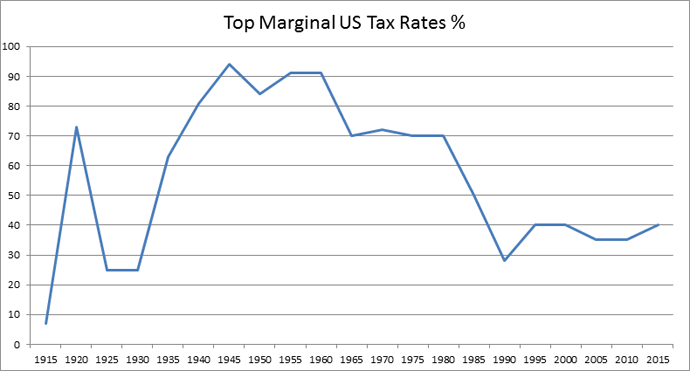 If you are unfamiliar with the meaning of marginal tax rates, then this graph might look insane. 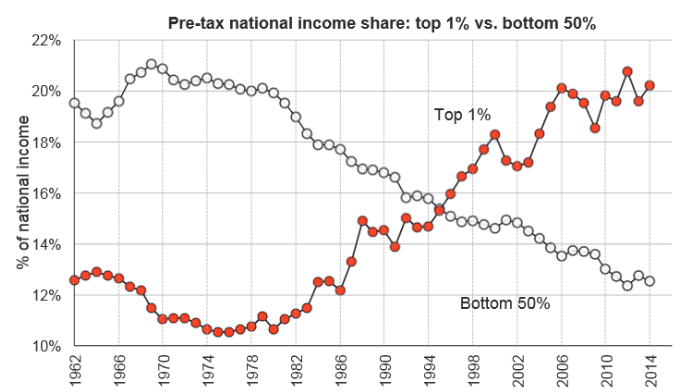 It looks as if at the peak, the wealthy were paying 95% of their income in taxes. But that is not the case, so don’t cry for the wealthy folks of the 1940’s! The marginal tax rate only applies to the money that a person makes above a certain tax bracket. Currently those in the top income bracket pay 39.6%, but they pay that rate only on taxable income over $388,350. So if an individual makes $400,000, he or she pays the highest rate on only $12,650 in income (400,000 minus 388,350), and pays a lower rate on the other $388,350. As multi-billionaire Warren Buffet explained in his 2011 Op-Ed for the New York Times, one of the main problems is that taxes on investment income are much lower than taxes on wages. Warren Buffet argues for a higher tax rate for the rich, particularly for the super-rich. “But for those making more than $1 million — there were 236,883 such households in 2009 — I would raise rates immediately on taxable income in excess of $1 million, including, of course, dividends and capital gains. And for those who make $10 million or more — there were 8,274 in 2009 — I would suggest an additional increase in rate. It seems quite reasonable to return to top marginal tax rates of 70%, common before the Reagan tax cuts, and this top tax bracket should start at $1,000,000 as Warren Buffett suggests. Similar changes are needed for the capital gains tax rates. Read Warren Buffet’s full 2011 Op-Ed piece for the New York Times.